Our Kind conveys the dreams and reality of a group of women who came into the quick rush of adulthood, marriage, and child-bearing during the 1950s. 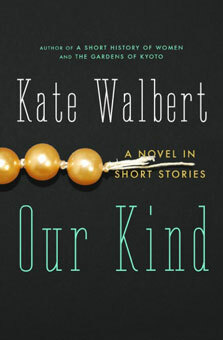 Narrating from the heart of ten companions—once country-club housewives—Walbert subtly depicts all the anger, disappointment, vulnerability, and pride of her characters. “Years ago we were led down the primrose lane, then abandoned somewhere near the carp pond.” Now alone, with their own daughters grown, they are finally free—and ready to take charge: from staging an intervention for the town deity to protesting the slaughter of the country club’s fairway geese, to dialing former lovers in the dead of night. The result is a thought-provoking novel that opens a window into the world of a generation and class of women caught in cultural limbo.